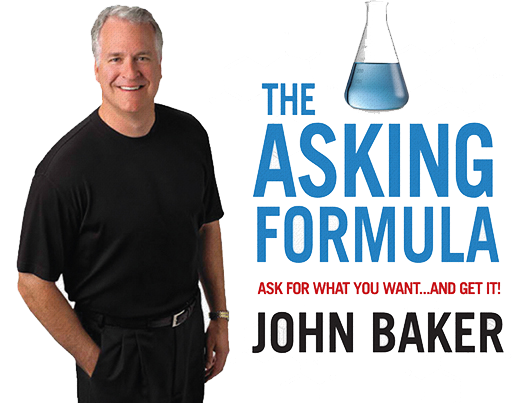 An ideal kick-off or finale to your event is to have John Baker, America’s #1 Asking Expert, and one of the country’s most exciting speakers join your next event. John motivates, enlightens and sets people on the course to becoming better askers in their professional and personal lives. This session is a 45 to 70 minute highly motivational and engaging overview of “The Asking Formula” that provides story-based and humorous examples of key program fundamentals. Participation is encouraged as John solicits input from the audience regarding their personal experiences – both good and bad – of asking for what they want. 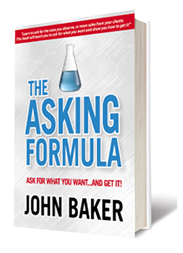 People leave the session not only with a strong uplifting, and empowering message… but also with the ability to put “The Asking Formula” to work back on the job. The content is powerful, the delivery is fun and the ROI is immediate! John connects with his audience through high-energy, story-driven and practical messages. His passion and substance combine to bring both excitement and action to your event. He creates an experience that attendees will be talking about long into the future.